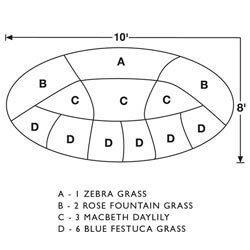 Create a sense of beauty and movement in your landscape with our professionally designed Corner Grass Garden. Zebra Grass provides the central focus, supported by Rose Fountain Grasses on either side. 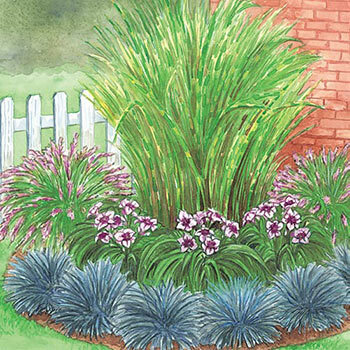 MacBeth Daylily and Blue Festuca Grass introduce colorful highlights that complete this low-maintenance garden.